folders. I will illustrate why below. would get an email from a colleague, about a client. Does that email go into Colleague –> Name or does it go into Clients –> Client Name? This is more of a limitation of the folders system and Gmail's labels solves this elegantly, simply by applying two labels to the email. Alerts folder would result in my missing a fair few emails. It is surprisingly hard to get email rules exactly right. There are often emails that slip through the cracks and end up getting filed when they shouldn’t. it has been dealt with. Despite best intentions, this always starts to lag and the result is a huge inbox. I would probably clear it out once a year, but it would always go back to being a mess. with should be in the inbox. If there is nothing to do, the inbox should be empty. the fastest, but I decided to rely on search as my primary method of locating emails. I also created two new Quick Steps to aid with this process. either the Business or Personal folders with a single click. here how to create your own Quick Steps. 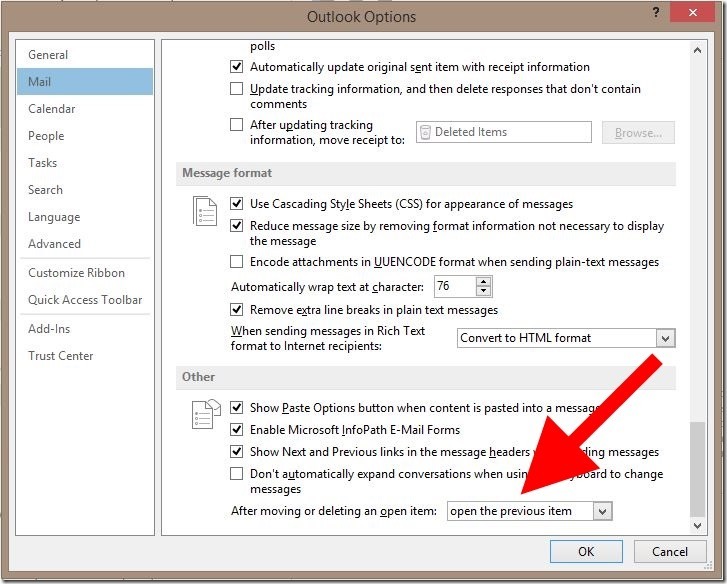 Remember: Only move email out of the inbox when you have processed it. use it for 2 weeks consistently. It is invaluable to me now. (newer) message in the list. This might seem like a trivial point, but it really assists the work flow. Mail. Scroll to the bottom and you’ll see this. Good luck with managing your email. Let me know how you get on.